In real life, John’s not a magician, but he has directed six low-budget features that cost very little and made even less – that’s no small trick. He’s also written multiple books on the subject of low-budget filmmaking. Ironically, they’ve made more than the films. His blog, “Fast, Cheap Movie Thoughts,” has been named “One of the 50 Best Blogs for Moviemakers” and “One of The 100 Best Blogs For Film and Theater Students.” He’s also written for TV and the stage. 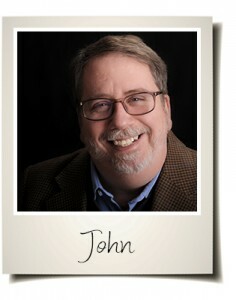 John lives in Minnesota and shares his home with his lovely wife, several dogs, a few cats and a handful of pet allergies. And because he has now written a mystery, The Ambitious Card, John Gaspard is here today. Welcome, John. Because you are in the movie business, I understand why you write books about movies, but why would you make the shift to mysteries? Are you a big reader of them? I’ve always enjoyed mysteries, from The Hardy Boys as a kid, to Sherlock Holmes to Agatha Christie – all the standard stuff. Years ago I read a great book on filmmaking by a guy named William Bayer (Breaking Through, Selling Out, Dropping Dead and Other Notes on Filmmaking). In a revised edition of the book, he wrote about how – after years of working in the film industry – he found more creativity and enjoyment in fiction writing. I read that book in my twenties and stored that idea away. Now in my fifties, I thought it would be a good idea to see if that worked for me. And it does. But you still make films, right? Yep. I completed a feature last year (Ghost Light) that is currently making its way through the festival circuit. It was great fun to make and people really seem to enjoy it. And I’m in the midst of a new feature (The Cookie Project) that consists of seven shorts, each themed after one of the Seven Deadly Sins. All the shorts will eventually tie together into the feature. I have a good friend who is a mentalist and I can’t figure out how he does what he does, but it fascinates me. Why did you decide on magic for your theme? Is there a connection? Several friends are magicians and I’ve always found their work and their performances fascinating. I thought that it would be a fun profession to create stories around, something that hadn’t been done before and that offered a lot of opportunities for stories and conflicts. One of the early responses I got on the manuscript from one publisher was that they were disappointed that Eli never used any “magic” to get himself out of scrapes – as if magicians can really work magic! But in fact, Eli does use all of his skill as a magician to save himself at the end, but it’s more along the lines of MacGyver then Merlin. After reading the book, I was very surprised to learn that you aren’t actually a magician. What did you do to make that portion of the story seem so real? I spent a tremendous amount of time with magicians. I read biographies. I subscribed to magazines devoted to magic and magicians. I sought out magic performances wherever I could. I went to magic conventions. And perhaps the most helpful research tool were a few podcasts that are out there for magicians. These podcasts included long-form interviews with legendary magicians, along with round-table discussions with working magicians. When the manuscript was completed, I had a couple magician friends read it, looking for errors – the wrong phrasing about a trick, the wrong terminology about an illusion. I also asked them to make sure I wasn’t giving any magic secrets away when I described the tricks. After all that research, what surprised you about magic? I’m still amazed at how some of the most amazing tricks have the simplest solutions – mind-blowingly simple. I was also surprised at how much work and skill goes into a magic show. There is so much craft and technique that the audience never sees (that they should never see), and the best magicians make it all look so simple and elegant. I think psychics you see doing stage shows are fakes, albeit impressive at times. But I do believe in psychics, my mother is. And I have seen healers in Ireland heal (burns, ringworm, thrush, even my own asthma) right in front of my eyes. So I am a believer. Your protagonist, Eli, is a skeptic as opposed to a debunker. Is that because you are? Absolutely. I ended up doing a lot of research on psychics for the book — nearly as much as the magic. Like magicians, psychics come in all flavors and sizes and I wanted to make sure that I showed a full spectrum – from obvious charlatans, like Grey … to people who seem to have an undeniable and unexplainable gift, like Franny the phone psychic. Harry’s experience when Megan does a reading on him is exactly what happened to me – forty minutes of a stream of consciousness from the psychic, and not one hit. Nothing. The law of averages would demand that at least one thing would connect, but nothing did. So I knew that had to go into the book. Plus there is a natural friction between magicians and psychics and I also thought that would make for a fun romantic angle – not exactly Romeo and Juliet, but what happens when two people from different belief systems start to fall in love? Why did you set the story specifically in Minneapolis? I’d worked on an earlier novel that was set in Manhattan, and although I had visited the city many times, it never felt like I was able to make it ring true on the page. 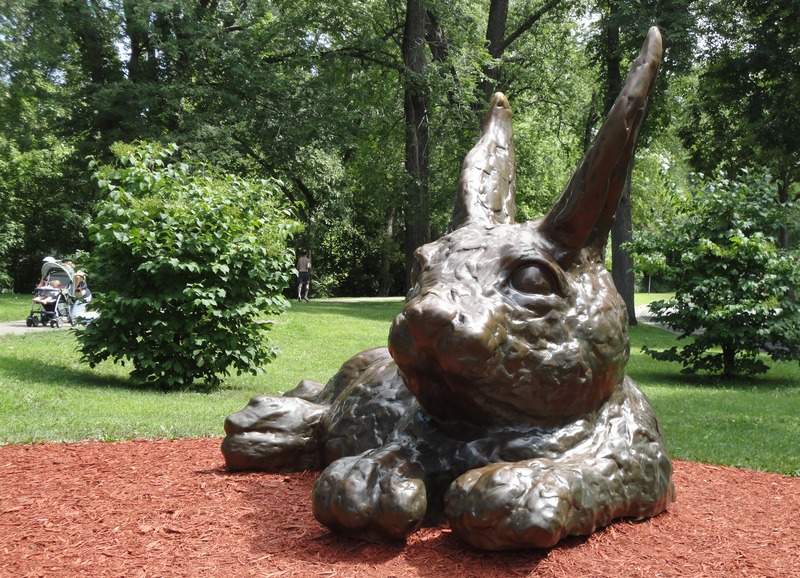 And then one day, while driving to work, I noticed that a large statue of a rabbit had been erected along one of the parkways here in Minneapolis. The rabbit got me thinking about magicians and when it came time to place the story in a location, my hometown seemed as good a spot as any. So readers who pass through Minneapolis can find the locations from the book? Most of them. 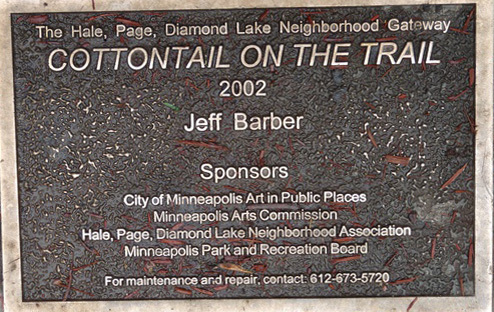 The rabbit statue is near the corner of Portland Avenue South and Minnehaha Parkway. The Wabasha Caves are just across the river from downtown St. Paul and they offer tours. Of course the Mall of America is here, as is the International House of Pancakes across the street. And the record store exists (albeit under a name other than Akashic Records). The magic store, Chicago Magic, doesn’t exist, but the bar that Harry hangs out in with his cronies, Adrian’s, can be found at 48th and Chicago in South Minneapolis. 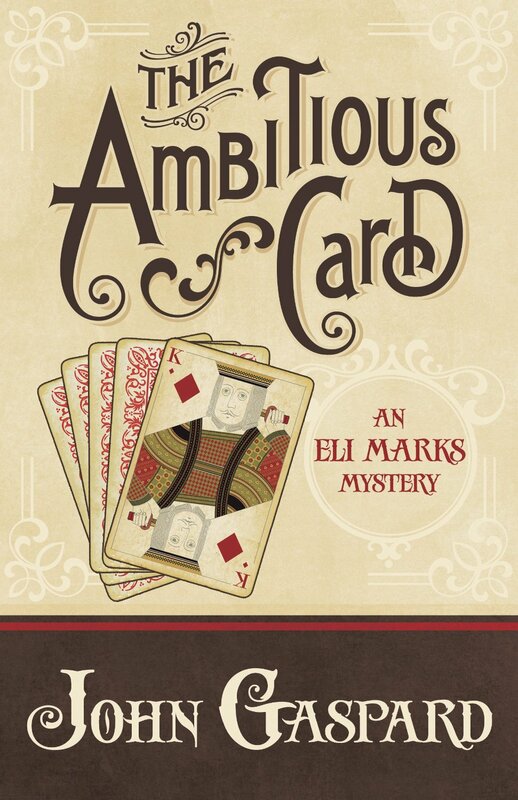 Will there be another Eli Marks mystery in the future? With any luck, more than one. I’m currently writing the second book in the series (The Bullet Catch) while making notes for the third. I think I still have several fun adventures for Eli and Uncle Harry to experience and more magic as well. That’s a tough one. Given that currently filmmaking project is called The Cookie Project, I might just cut to the chase and go with chocolate chip cookies. But only really good ones. And, while we’re on the subject, raisin cookies masquerading as chocolate chip cookies are the bane of my existence. When I’m in charge, they will be banished. Another tough one. For minute-to-minute enjoyment, I’d have to say The Big Bang Theory. Wow, none of these last questions are easy! My tastes are best described as eclectic. Since my wife recently starting working as a Zumba instructor, I’ve been listening to a lot of music for Zumba classes and enjoying it …. Thank you so much for being here today John, and good luck with The Ambitious Card. And for those of you who are interested in the card trick this book is named after, you may enjoy this video. This entry was posted on September 4, 2013, in Author Interviews, Book Reviews, Reading. Bookmark the permalink.